Our couple shares a tender embrace while placed in the perfect spot for a reflection in the water. 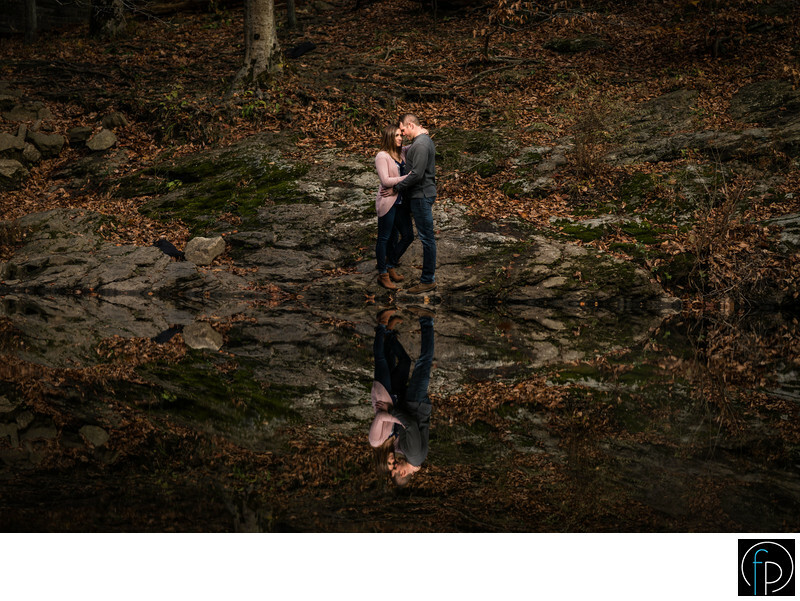 This gorgeous location is during our fall engagement shoot was at Wissahickon Park, located in Montgomery County, Pa. With loads of trails and activities to choose from, we ended up by this lake on a beautiful fall day. Location: Valley Green Rd, Philadelphia, PA 19128.